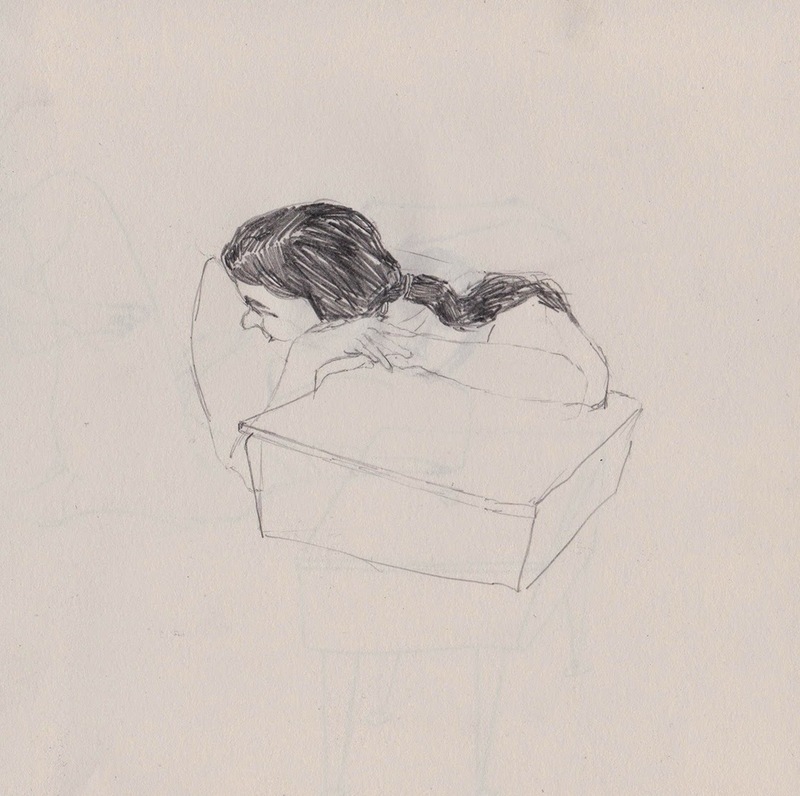 Life drawing at The Loft this week was just the excuse I needed to get my pencils out. My first trip to the fledgling space tucked in Birmingham's city centre, it was a very creative, welcoming environment from the moment I entered. Already full of lovely people on my arrival (some studio holders and others newbies like myself) I was offered fruit juice and sweets and took a seat ready to get set up. 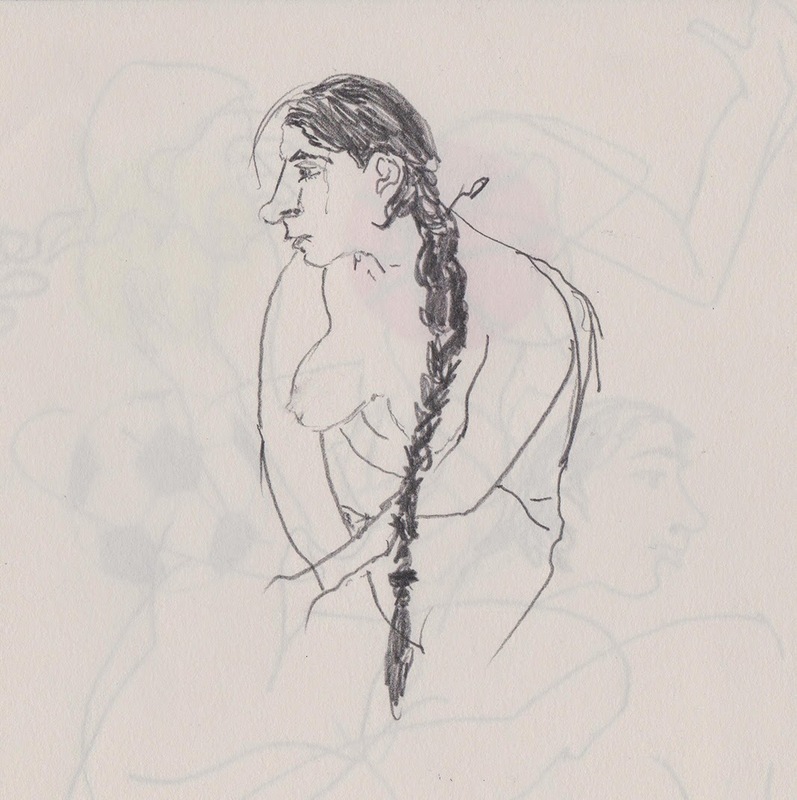 Well-organised and fast-paced, the session flew by, with the experienced life model's seemingly endless plait capturing my interest in every drawing. Unlike sessions I have attended elsewhere, there was a supportive and open sensibility amongst attending artists, everybody bravely bringing their favourite drawings together to share before the session came to a close. Yinka and The Loft team have created something really special here; a simple but important vessel by which to bring together local artists to work - and potentially exhibit - together who may otherwise work alone. In-so-doing this creates a safe zone for creative people to do what they do best whilst contributing to the working of the city; a self-led creative nucleus. It's always nice to feel a part of something, and I can guarantee that to make contact with The Loft is to be part of something good.